Winners, winners - we have winners!! sponsored by our very generous sponsors! 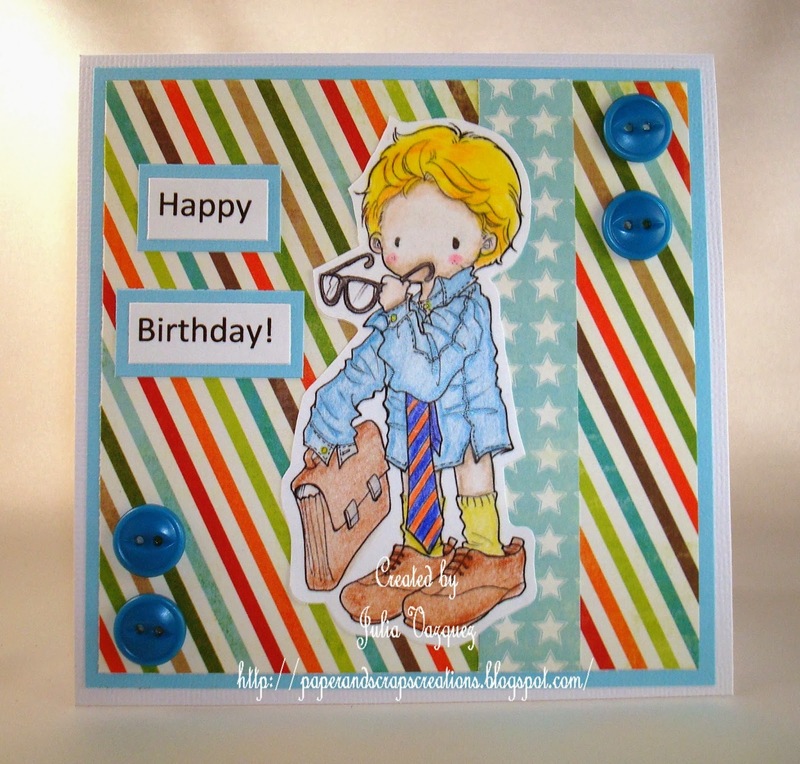 Robyn's Fetish Digital Stamps and The Stamping Boutique! Cathy has won her choice of 3 digis from MilkCoffee. and to all of you who played along with us! 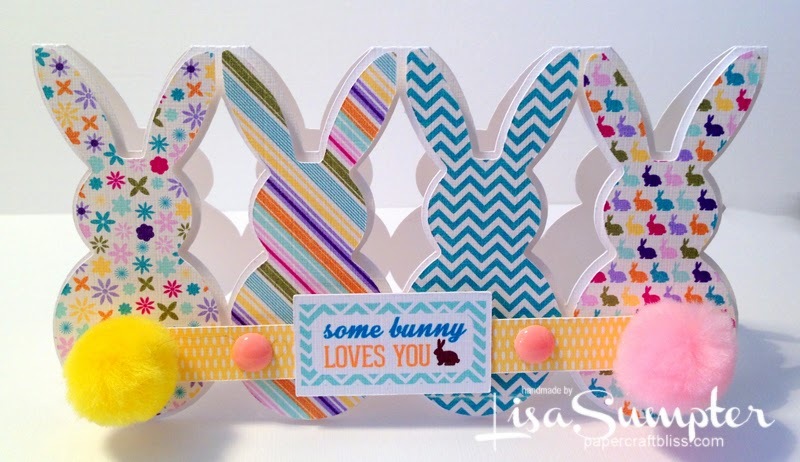 hop on over to our latest challenge HERE. Spring Is Nearly Here, Right?!! We have two awesome sponsors this week, and that means you have double the chance of winning one of these great prizes, so you're definitely gonna want to grab your crafty goodies and join in the fun! 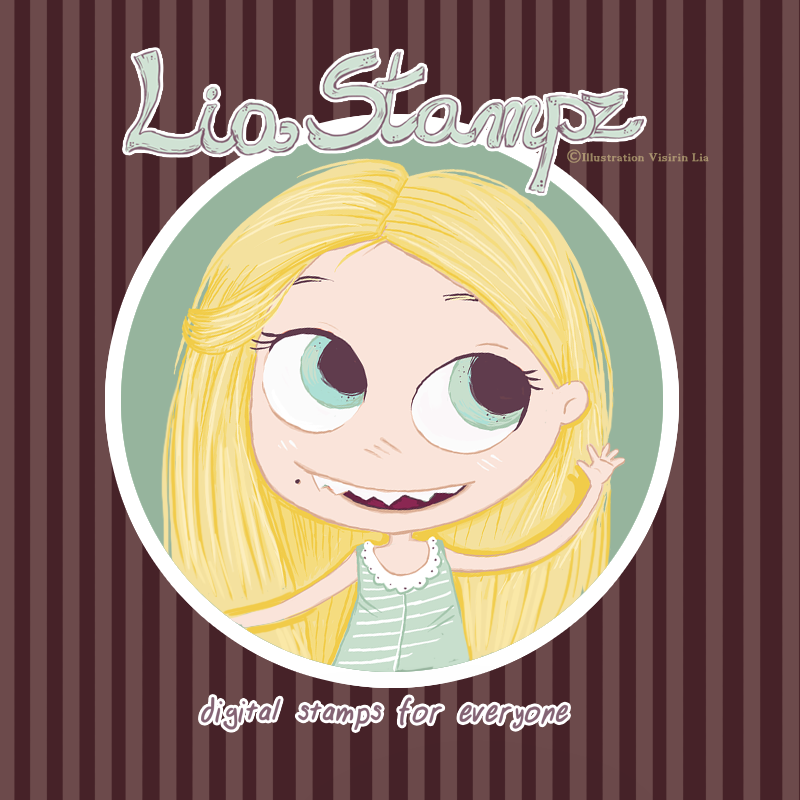 Our first sponsor this week is Lia Stampz who is offering one of our winners a prize of 3 digital images from their store. to share their colors of spring! I live in Inverness in the Highlands of Scotland orginally from Newcastle upon Tyne, My Husband works for the N.H.S. We have 3 Grandchildren 2 live in Glasgow and 1 in Nairn, I love them all dearly although we don't see much of the 2 in Glasgow. 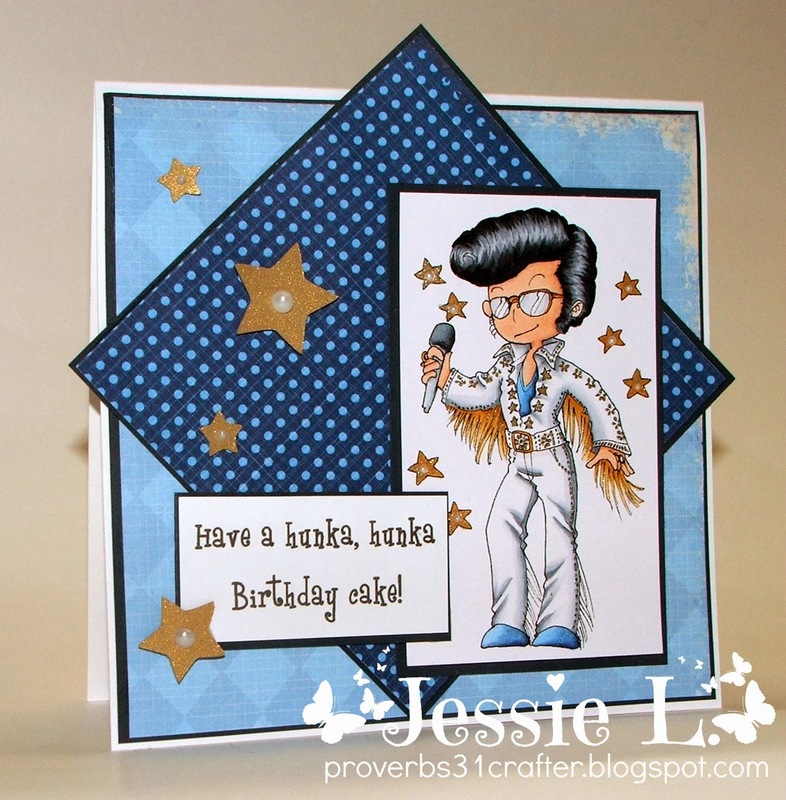 I started making cards in 2011 and have become addicted to making them. 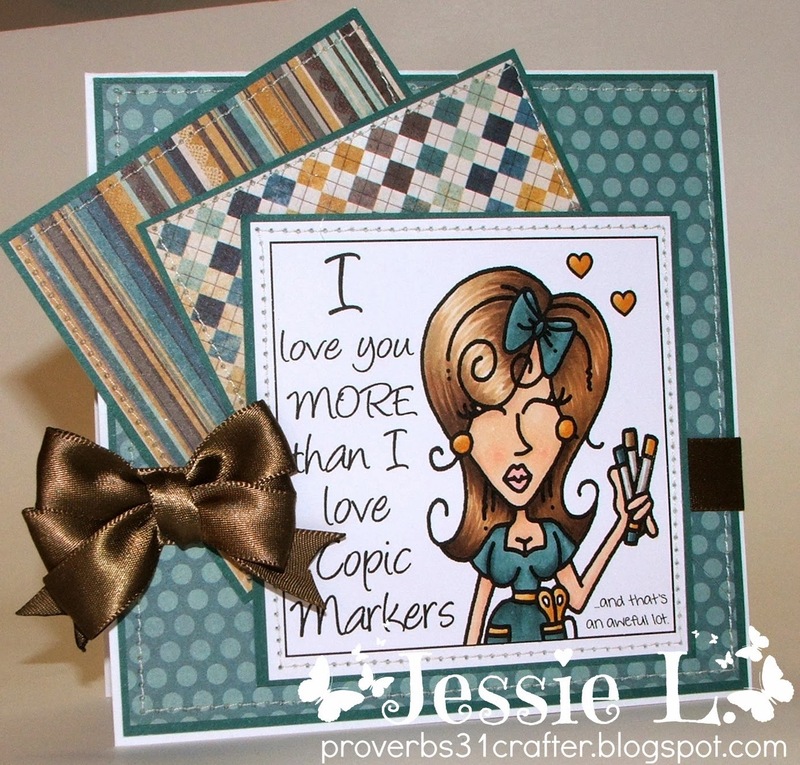 Crafting By Designs this week! 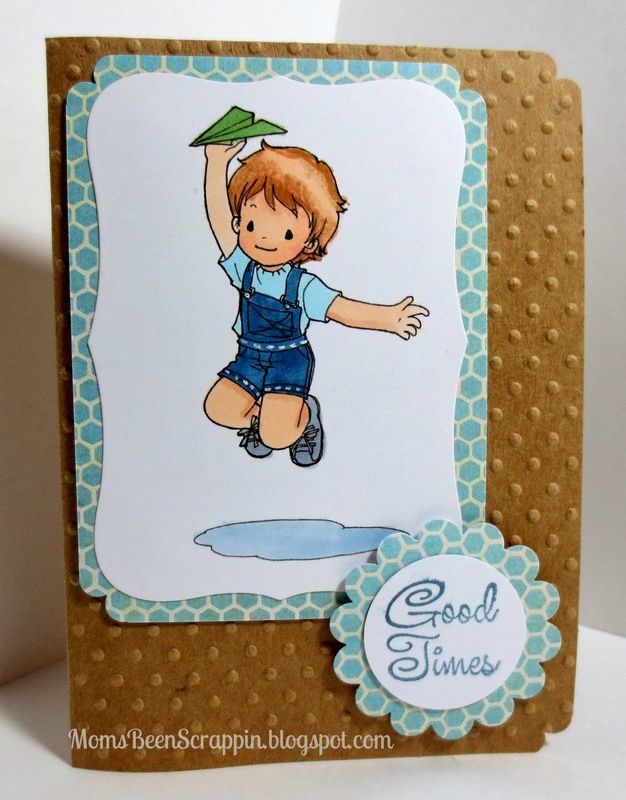 Now, grab those crafty supplies and hop into spring with us! 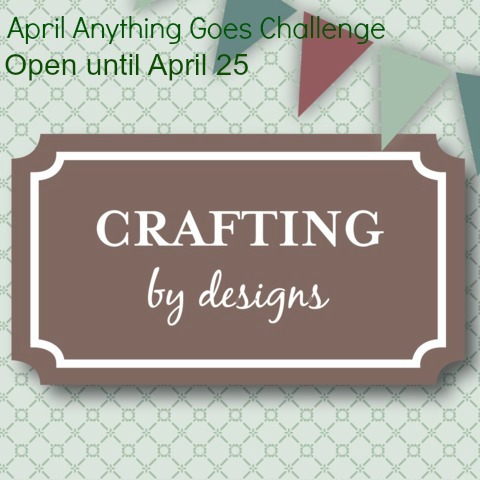 This challenge will be open until March 5, 2014. Please read our rules - this challenge is limited to 5 entries per person and must be linked from your blog to this challenge. 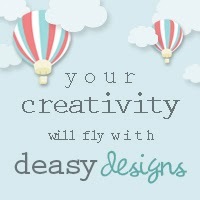 We can't wait to see what you make! In this month of love, I hope you are newly inspired and will join us!! 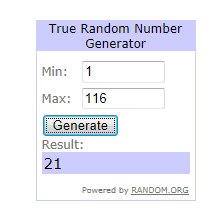 We received 116 lovely entries for the challenge! That little face says it all! Thanks for showing us how to make our own!! Isn't this beaver just adorable? Your mixed-media piece is a real eye-catcher. Using the King & Queen of Hearts was very innovative! 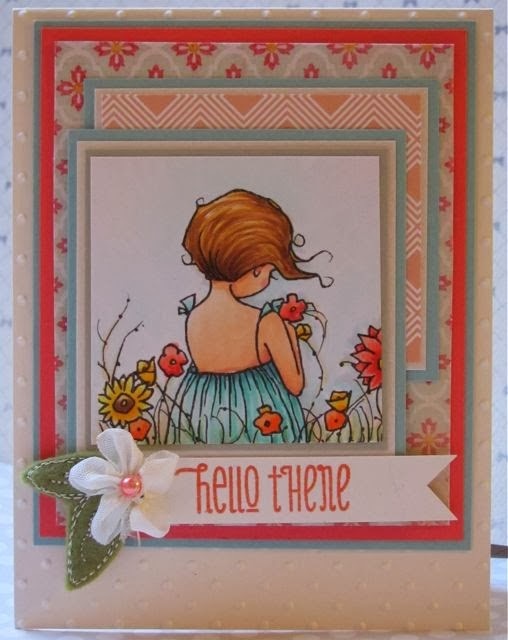 A real pretty take on the theme! The runner-ups this week are just lovely too! 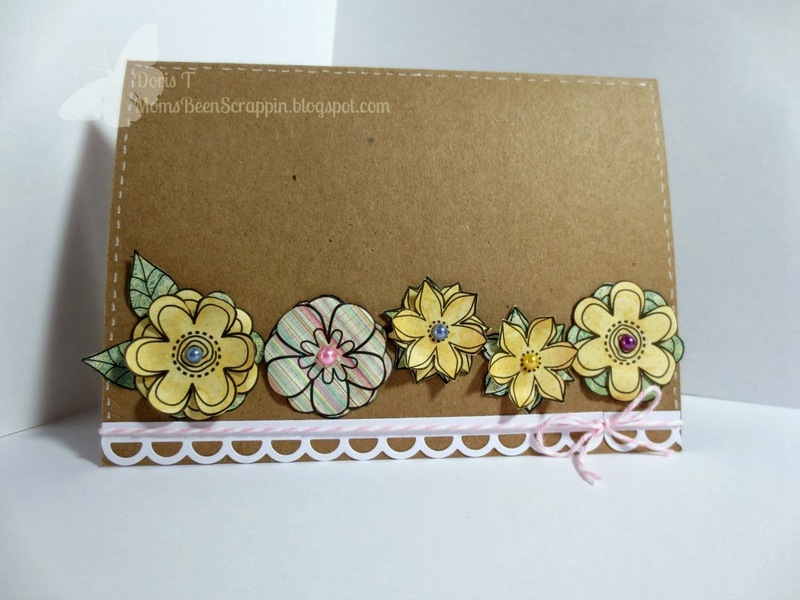 #27 Caz - Delightful wedding card with interesting detail. #45 Darlene Pavlick - Gorgeous olde worlde feeling! 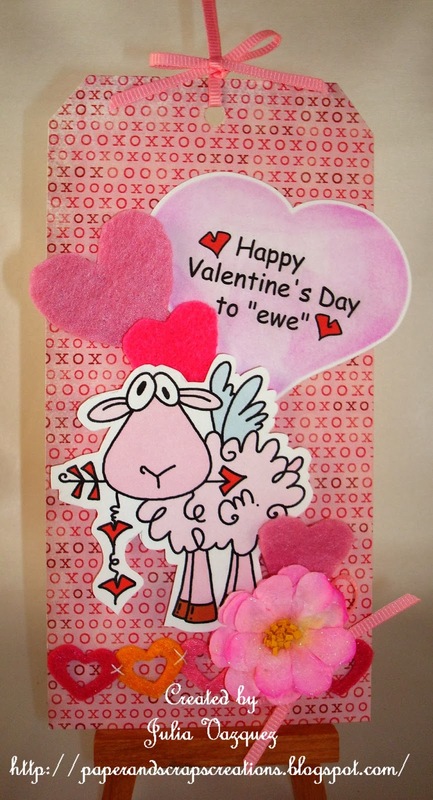 such a cute card bringing a smile to our faces. #99 Grandma Bonnie - Your little train is so sweet and filled with love! #108 Amy A - Interesting detail and an adorable image! and the different interpretations of the theme! There was at least 1 entry that linked to their blog, NOT their post. I could not find the entry to make a comment. AND/OR did not mention the challenge theme in their blog. You CANNOT win or be in the Spotlight if you do not follow these simple rules. Winner - Anything for Love! 3 digis of their choice! This challenge will be open until February 25, 2014. 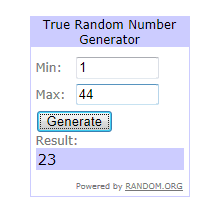 We received 33 hot entries for the challenge! 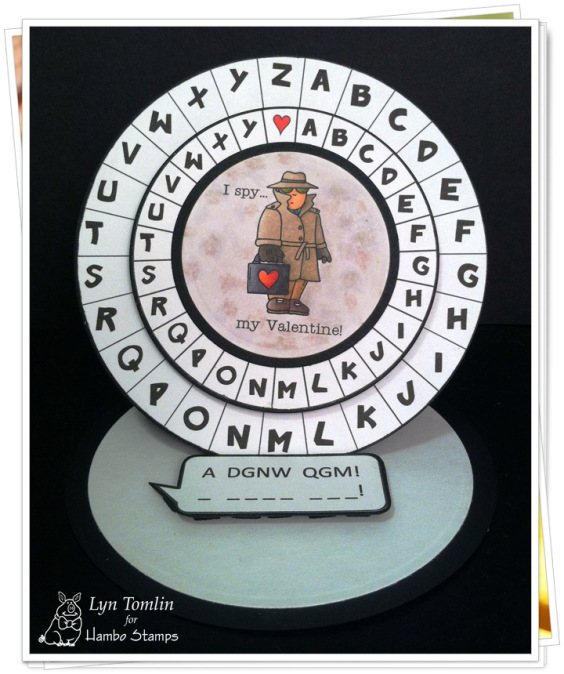 Such a sweet shaped card, with a warm wish! 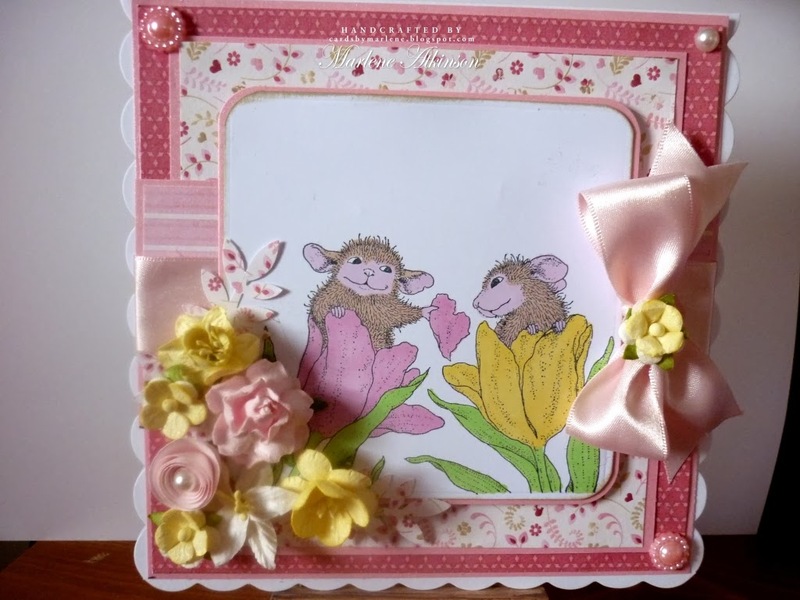 Your lovely spring card conveys the message in such a cute way! 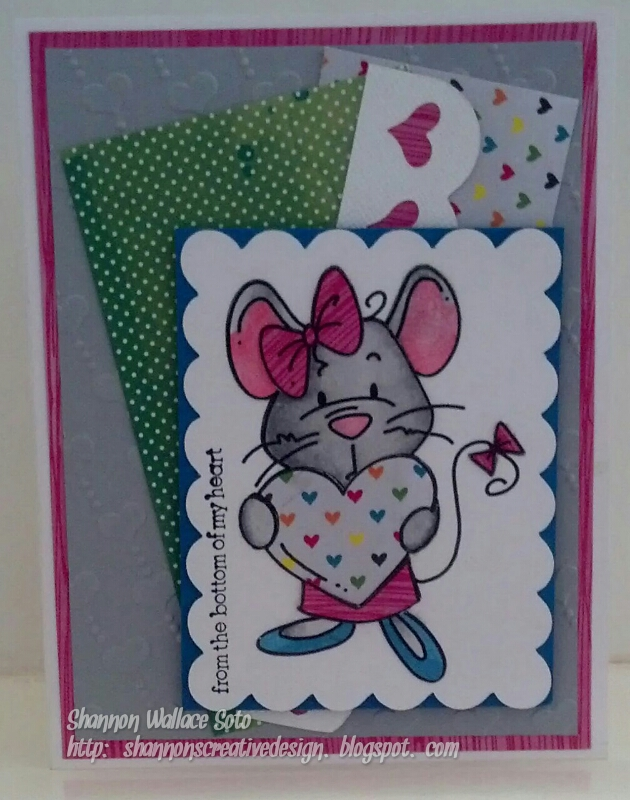 The fresh colours catch the eye, makes your card stand out! 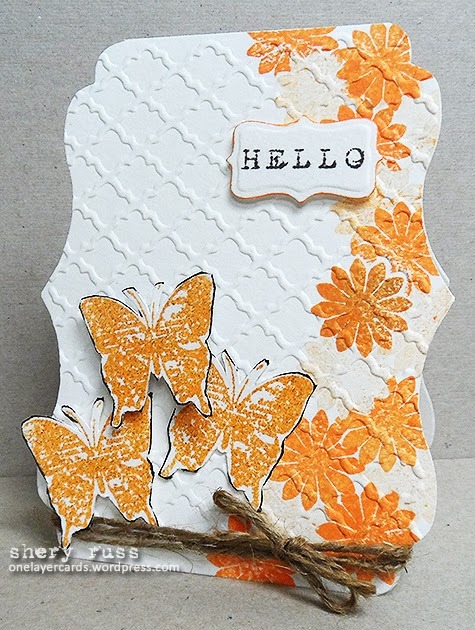 You nailed this technique and created a beautiful card! It really comes alive, the sun spreading a warm feeling! 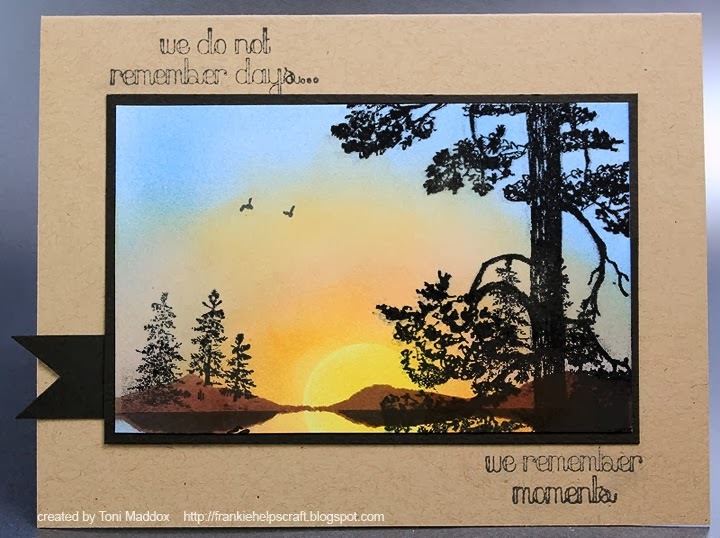 #3 Brenda L - this is just so heartwarming! 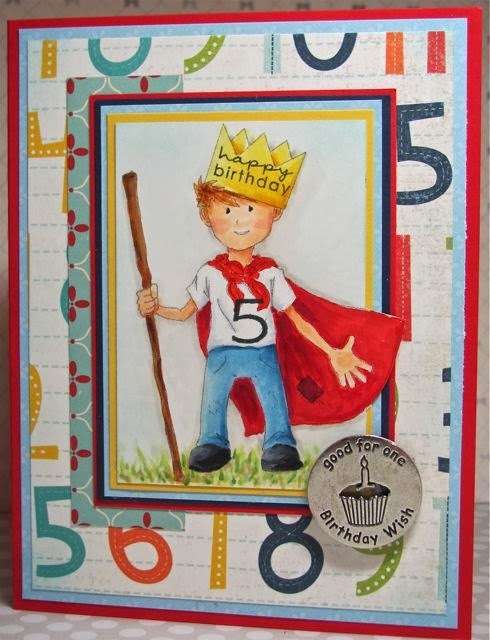 #23 Nicky - Fun card for coffee lovers - I loved this! 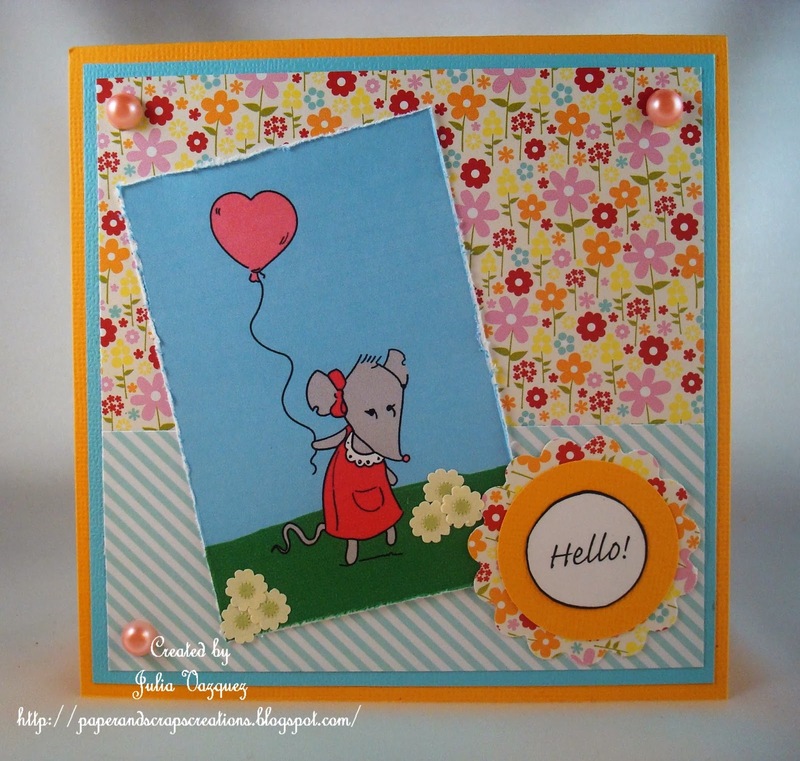 #29 Delphine - What a sweet card, brought a smile to our faces! Ohhh....Love is in the air. Hi everyone, it's Sharon. 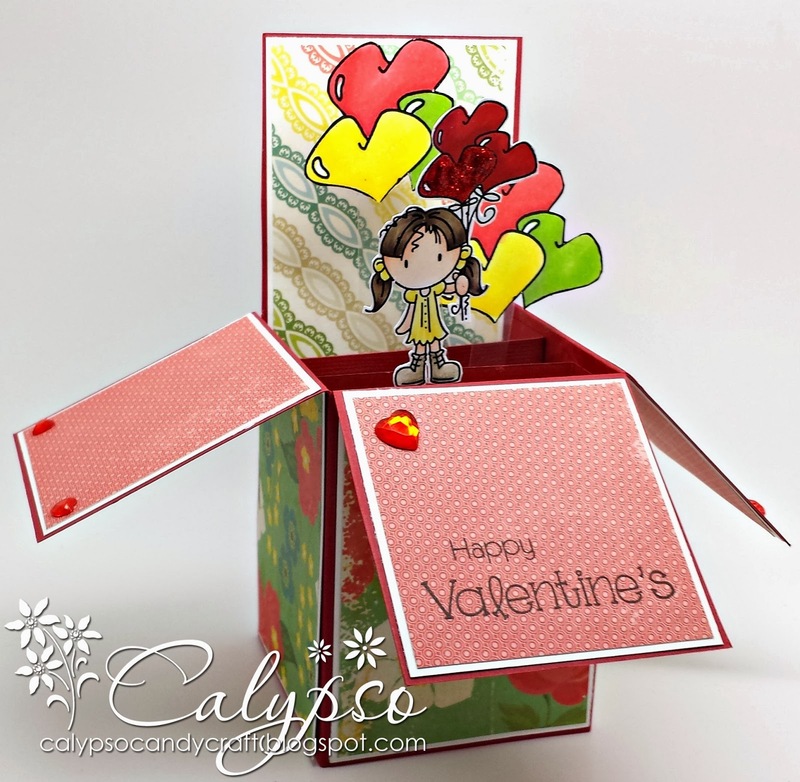 I'm hosting this weeks Anything for Love Challenge. Show us your fabulous creations. Anything at all, just as long as you show us some love. 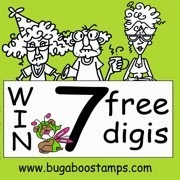 Bugaboo Stamps is our awesome sponsor. 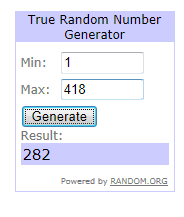 And one lucky winner, chosen at random will win 7 digis of their choice! out all her work, it's just fantastic!! 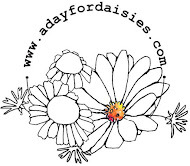 My name is Nazeema Bastian, but I am known as "Calypso" in the blogging community and I live in Southern California. I have an extremely supportive husband and three wonderful boys. When I'm not enthralled within my books, running after a busy 4 and 1 yr olds and/or running back and forth for sports, you can find me in my crafty corner. 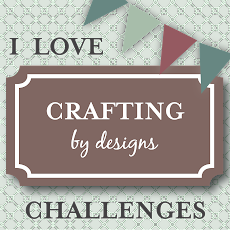 I have been crafting since 1998, but only started blogging around 2010. I do not have a particular style that I tend to stick to, I just do as I feel and want. I do love to try new techniques and I am always in for a good sketch. 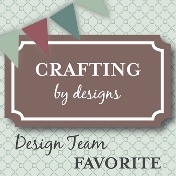 I am very excited and honored to be a Guest Designer at Crafting by Designs this week!! This challenge will be open until February 18, 2014. Please read our rules - this challenge is limited to 5 entries per person and must be linked from their blog to this challenge. We can't wait to see what you make! Winner - Think Warm Thoughts!